I’m loving having my own blog. It’s great to be creating something from scratch that’s all your own hard work. I’m also loving the challenge I’ve set myself. It’s so satisfying when you’ve baked something that tastes and looks fab and you write a post you’re proud of. There’s a real sense of achievement. That moment you click ‘publish’ is a great feeling. It’s then followed by the anticipation. “Will anyone comment?” “Will anyone click ‘like’?” “Will anyone in fact read it?” But despite this, it can be hard work fitting it all in. All the planning and searching for recipes; making time after (or before) work to write and edit the posts; choosing the right photos; making time to bake (which is never a chore); tasting the food (that is the really tough part!! ); washing up after all the baking (now, that is a chore!). The list goes on. It’s a hard thing to maintain and does take commitment, but it is really enjoyable and worth the effort. I guess I’ve realised that when you put the time in you get more out of it, but that can be tricky when every day life gets in the way!! It takes organisation and planning. I take my hat off to others who have time to post so often. I do have a few recipes I’ve found for the next few bakes which I keep to hand, but sometimes I don’t always feel like making the ones I’ve picked, or I find something better. Sometimes I can’t even decide what to make as there are so many delicious things to choose from in each country (Colombia being a case in point). The recipe I picked for Colombia isn’t a traditional Colombian dish. 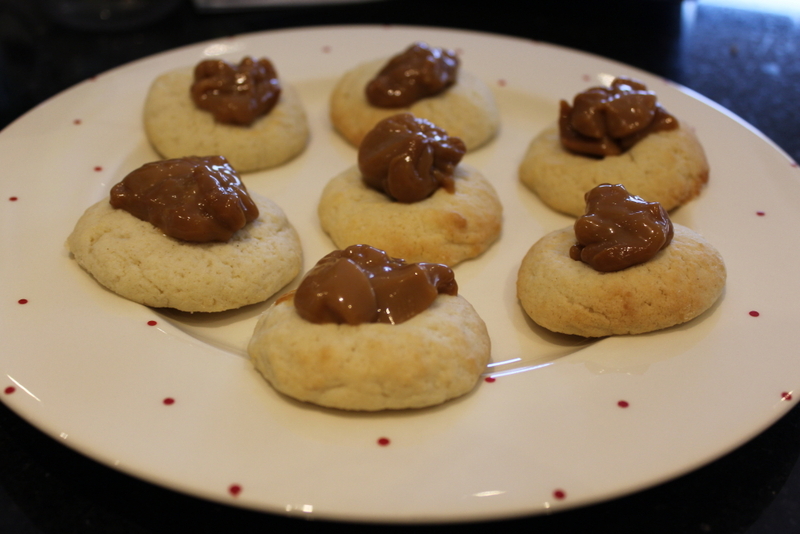 I think it was something that the blogger whose lovely site I found it on (My Colombian Recipes) invented, but it does include the infamous dulce de leche that I came to be slightly addicted to when I was travelling through South America. I didn’t get to Colombia but I do remember having endless dulche de leche filled pancakes and numerous other sweet pastries and other treats on my travels. Yum. My South America trip was probably the favourite of all the trips I’ve done. I absolutely loved my time there. What a fabulous continent. I managed to see a fair few of the countries – eight in total, but there are still more to see and I definitely plan to go back and explore the rest of it when time and budget allows! Preheat oven to 180C. Line a large baking tray with greaseproof paper. 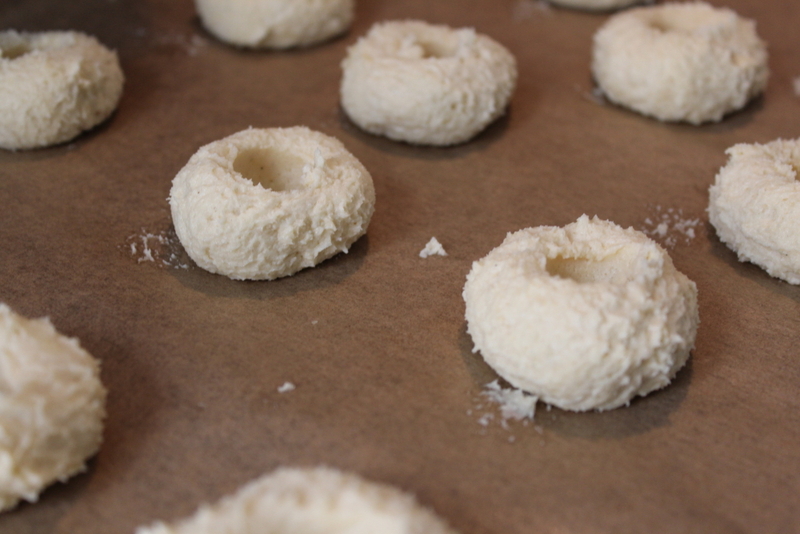 Using an electric mixer, beat together butter and sugar on medium speed until light and fluffy. It takes about 4 to 5 minutes. Add the egg, vanilla extract and salt until combined. Lower the speed of the mixer to low and add the flour in two additions. Form the dough into 12 balls. 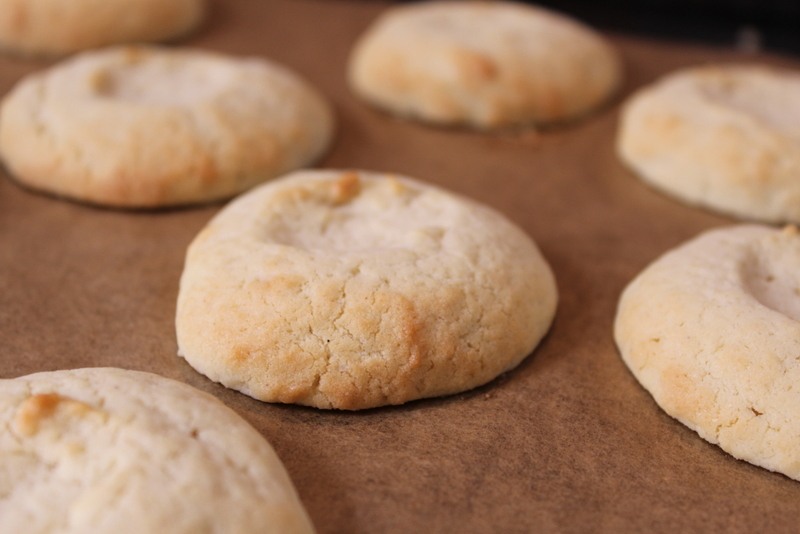 Place the balls of dough on prepared baking sheet, about 1 inch apart. Using the round part of a 1/4-teaspoon measure, make a deep indentation in each ball (alternatively, just use your thumb!). NB My dough was very soft and sticky (as you can see from the photo), making it difficult to roll into balls, so you may want to put in the fridge for a while before rolling out, or maybe try adding a little bit more flour. Bake the cookies until firm to the touch and golden on the bottom, about 10 minutes. Allow the cookies to cool on the baking sheets for 5 minutes, then transfer and cool on wire cooling rack. 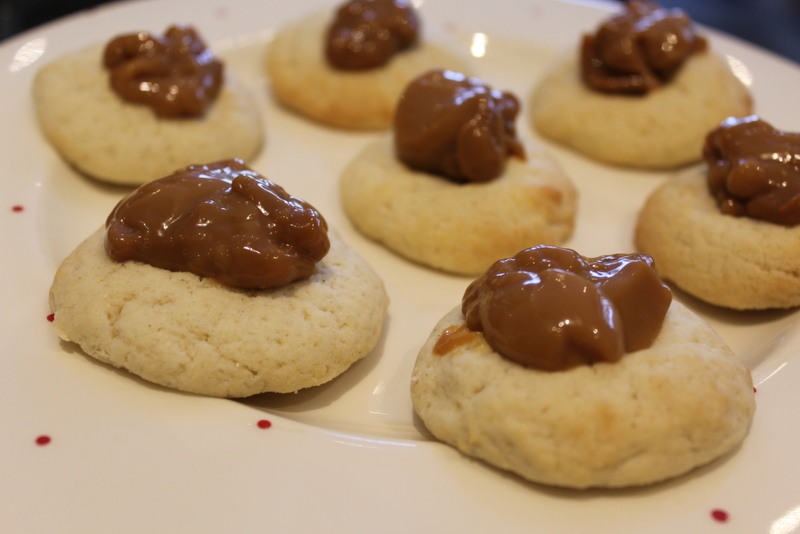 When ready to serve, fill the indentations with dulce de leche or arequipe. Hi Georgie, still really enjoying your blog. A great read. Just a thought though….. Would your husband by any chance be doing most of the washing! !